High quality products for the needs of industrial kitchens! Horeca products of herkkumaa are developed for the needs of industrial kitchens. From the product catalogue made for professionals of the food industry can be found delicious and versatile vegetable and mushroom preservatives, condiment sauces, jams and mayonnaise. Products for the industrial kitchens are manufactured with the same high quality raw materials as the retail products and they are made with respect to the finnish taste preferences. The ready-for-use vegetable preservatives serve professionals in many forms – such as slices, cubes or as whole cucumbers and beets. Herkkumaa’s practical horeca-packaging and decades of experience in the field of preserving raw-materials ensure our clients high quality products. Although Herkkumaa is the largest preserver of cucumber in Finland and we deliver our products to all over the Finnish nation, from Hanko to Ivalo, we can serve the needs of industrial kitchens with agility and tailored needs. 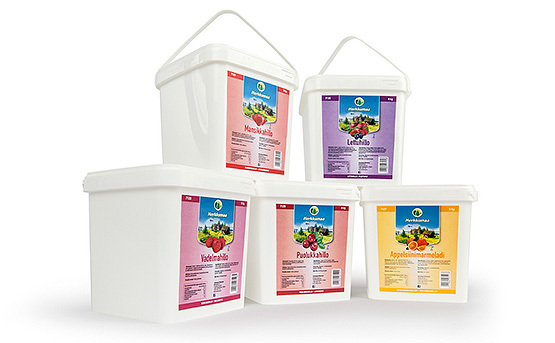 We deliver high quality, pre-processed products to the industrial food manufacturing as well. We are innovating and renewing our line of products for the needs of individual customers while listening to their ideas. So please, do not hesitate to give us your feedback!